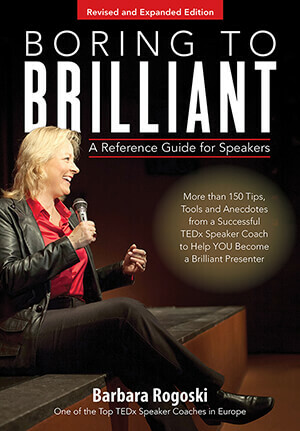 Buy the Paperback “Boring to Brilliant, A Reference Guide for Speakers” | Boring to Brilliant! To buy your paperback copy of “Boring to Brilliant, A Reference Guide for Speakers” for only €24.95, click on red the button below. If you want to buy more than one copy, you can change the number in your Shopping Cart. Click the red button below, if you want to buy the paperback book. If you’d rather by the hardcover click here.